As Autumn breaks in and the evenings get colder, warm up your home with cosy accessories, ambient lighting and calming home fragrances from brands including French Connection Home, Diptyque and Jo Malone London. Autumn is offically here and with the clocks soon to go back, dark, chilly evenings are returning for the foreseable future. As you're likely to spend more time snuggled up on the sofa over the next few months, now is the perfect time to refresh your home with easy autumnal updates and warming new additions. Start by layering up cosy blankets, fluffy cushions and soft, deep-pile rugs, like these dreamy rustic options from [French Connection Home](https://www.fenwick.co.uk/brands/french-connection) and HAY that will make you want to hibernate all winter long. Add subtle ambience with soft-lit lamps and twinkling lights, or make a statement with bold stylish lighting, like French Connection's decadent Brass Pendant Light. 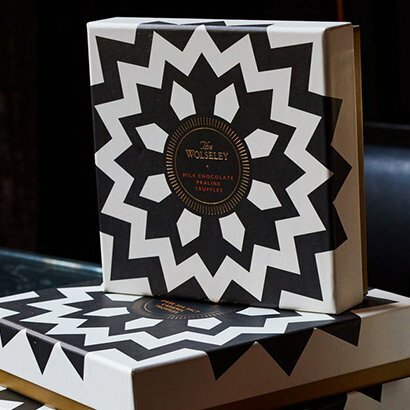 Finish with a glowing candle to create a calming atmosphere, look to [Jo Malone London](https://www.fenwick.co.uk/brands/jo-malone-london) and [Bella Freud](https://www.fenwick.co.uk/brands/bella-freud) for spicy, winter fragrances, or splash out on [Diptyque](https://www.fenwick.co.uk/brands/diptyque)'s luxurious Exquisite Almond candle, to fill your home with a warm, nutty scent.